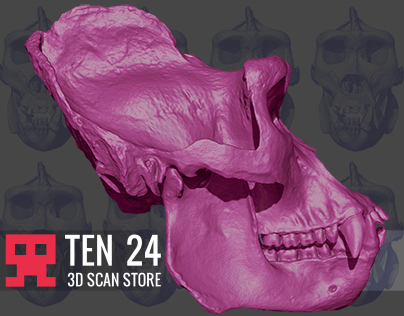 A high resolution Lowland Gorilla Scan of a Replica Gorilla Skull. Scan of a Lowland Gorilla cast. More reference from of scanned skull range.